Asus is a Taiwanese computer and phone hardware and Electronics Company, which products include tablet PCs, laptops, desktops, mobile phones, notebooks, monitors, networking equipment, projectors, and WIFI routers. Asus tablets are one of the best tablets in the worlds because this company is the world’s 4th largest PC vendor by 2015 unit sales. Asus announced two generations of the Nexus 7, which is manufactured for and branded as Google and released on 27 June 2012. This popular company has also been working with Microsoft on developing Windows 8 convertible tablets. The team of Asus revealed an Android-based tablet computer in 2013, which is when attached to a keyboard, becomes a Windows 8 device. Moreover, this device later called the Transformer Book Trio. Asus tablets are also known for these following tablet computer lines. Asus Transformer Book T100 is a wonderful laptop tablet combo, runs full Windows 8, has a very netbook like design, and it can transform into a tablet with the press of a button. Asus Transformer T100 feels like a netbook, which is both a good and a bad thing. It’s very portable, the battery life is super strong about 10 hours of battery life thanks to a new processor that’s an Atom Bay trail processor, and it’s a quad-core CPU. There is a USB 3 port, which is one of the Bay Trail editions there is a faster throughput there. You are going to have a little micro ports all over the tablet, kind of standard tablet land there with your micro USB, your micro HDMI, a little slot for memory storage, headphone jack, and a super plastic a huge fingerprint magnet. Asus transformer Book T300 is a hybrid tablet laptop combo, and unlike a lot of the yoga style ones that kind of bend over backwards. This is the more traditional take the screen off version, is actually held on with a magnetic latch as opposed to one those little kind of hook latches we have to move a little button back and forth or hold down a switch so you just kind of give it a tug and it will pop off. Because this is a hybrid transformer book so behind the scene, you have all the components, the memory, the processor, the battery, the hard drive, so it gets a little bit top-heavy. Inside, you have got an Intel Core and processor, that’s the same thing that you have in Apple’s 12-inch MacBook. The keyboard has its own battery inside but it doesn’t help you power, this it’s strictly to keep the keyboard powered, when you have it separate because you can flip this little switch and use it in Bluetooth mode. Hybrid Tablets like Asus Transformer Pad TF103CE can sometimes cost as much as a laptop, so those interested in one that Peters into laptop territory, but still has the benefits of a portable slave will find this Asus tablet to be a diamond in the rough. The 10.1-inch tablet hybrid skips the high-end look seen on the transformer prime, and opts for a more simplified utilitarian one. The plastic build gives it a cheap feel, however, it’s a think girth helps make it feel sturdy. When using as a tablet, the soft matte finish on the back is smooth and comfortable, but it doesn’t provide much grip support. The design of this transformer pad has improved, snapping the tablet into the keyboard dock is easier than ever, but the keyboard itself is a little cramped to type, as it is still better than using an on-screen keyboard. The Asus Transformer Pad TF103CE houses a quad-core Bay trial processor, 1GB of RAM, 16GB of internal storage, and a micro SD card slot expandable up to 64GB. Asus ZenPad 10 Z301MF is a new device, which fuses the latest technology with a modern, fashionable design featuring embossed knit-patterning and clean lines for a tablet that delivers stylish appeal and an incredible entertainment experiences. The device contains the Asus VisualMaster, which is a suite of exclusive visual enhancement technologies that combines software and hardware to use best all aspects of the display. The ZenPad 10’s display include sharpness, contrast, clarity, color and brightness, resulting incredibly realistic viewing experience with 1920 x 1200 Full HD resolution and 10.1 IPs display. Asus ZenPad 10 Z301MF-A2-GR is a tablet that comes with 4680mAH, high-capacity battery to keep the entertainment going. Moreover, the device has a USB Type-C connector, which connects easily for handy charging and provides fast data transfers to let you wait less and do more. The popular Asus tablet’s ZenUI has 1000 best features that improve upon the newest Android interface. The user of this device will surely enjoy a smarter and simpler experience with a stylish layout. ASUS ZenPad S8 is a little 8-inch Android tablet, which has a stunning display, it has a premium design, and feels responsive to use. This tablet has a pretty good 74% screen to body ratio, so the majority of the front is reserved for display, which is good. Asus ZenPad S8 tablet uses the newer USB type-c connector for faster connection and charging. The tablet is powered by a quad-core 2.3-gigahertz Intel Atom z3580 processor with a generous 4 gigabytes of RAM. It also has a generous 64 GB of internal storage and also has a micro SD expansion with it. The firepower of this device helps to navigate around UI, and it is running the same Zen UI experience that we saw already with the Zen phone 2 earlier. The Asus ZenPad S8 tablet has an 8 MP rear camera, which has a lot of shooting modes. Asus ZenPad 10.1 Z300M is a $126 tablet with an HD screen, a quad-core processor, and 2 gigabytes of RAM. Out of the box, the first thing you will probably notice is that it is a surprisingly light device at just barely over a pound. It’s also pretty thin at 0.31 inches. The whole backside is made of a textured plastic. Lots of people may not like this because it doesn’t feel premium, but some of them will like the enhanced grip that it offers. This Asus’s tablet power button is found on the left of the top edge and it’s almost flush with the device, making it kind of hard to press. The right side is bare, the bottom side has a proprietary port for a dock that Asus has yet to release, and the left side has the headphone jack micro USB and volume rocker. On the rear, the Asus ZenPad 10.1 tablet has a 5 MP camera and on a front, it has a 2 MP camera. 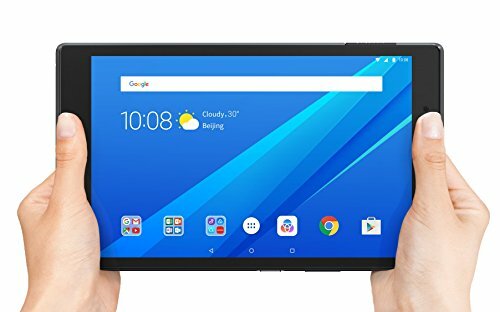 The screen is only 720p instead of 1080p, does get pretty bright and it is also IPs device, which means that it has good viewing angles unlike some other budget tablets. The Asus ZenPad 8 is the perfect tablet for taking to go. Not only that this device is lightweight and thin, it also offers cellular service via Verizon. The Asus ZenPad 8 tablet supports fast 4G LTE, and of course, you can give your data plan on the break and use a Wi-Fi network instead. 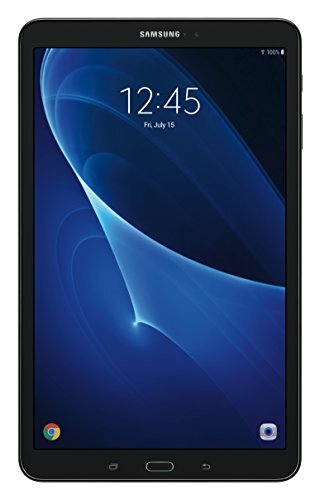 The tablet is running on Android Marshmallow, it features Asus’s easy to navigate Zen user interface. The backside of the Asus ZenPad Z8 tablet has a comfortable leather like texture and the front features a sharp, bright screen and also has two front facing speakers for watching video or playing games. Tablets with self-service tend to cost more than your regular Wi-Fi only model. 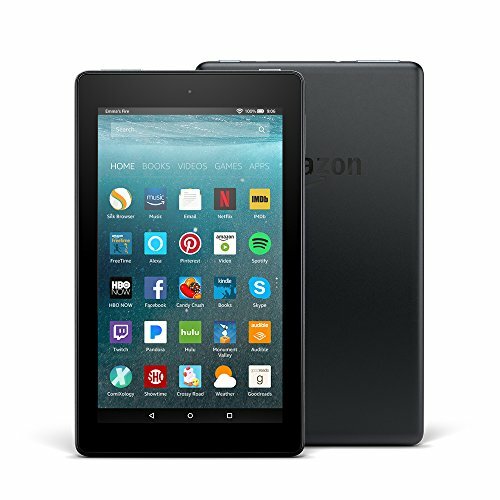 However, Verizon’s competitively priced the ZenPad V8. It costs $250 without a contract or $200 with a two-year contract. If you qualify, there is the option of paying it off in 24 months. That brings it to a little less than $11 per month. It is not a powerful, high-end machine to replace your laptop. Asus ZenPad #s 10 may not be the most graceful name, but a sleek slate built around high quality media consumption. 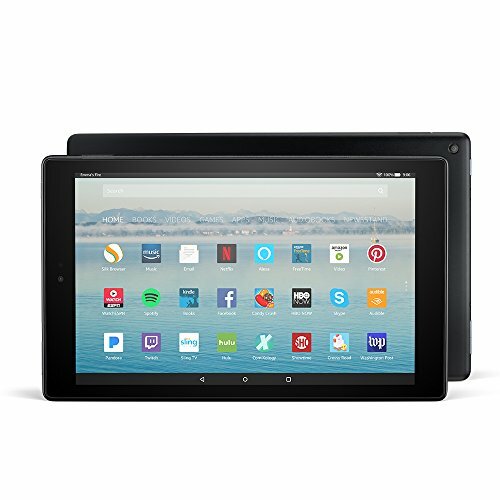 The overall look and feel of the device is considerably more premium than you can really expect for a 10-inch tablet in this price range. The ZenPad 3S 10 is made entirely out of aluminum with no trace of plastic or anything like that. 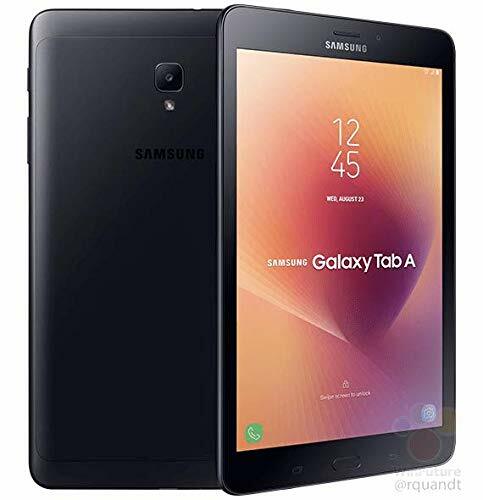 Moving over to the front of the tablet, it has the 9.7-inch display just shy of that 10-inch mark, with the 78% screen to body ration means that the majority of the front of the tablet is display. The bottom bezel on this ZenPad 3S 10 is a little bit bigger, this is because it’s housing two capacitive buttons with a physical home button. However, what’s great about that home button is that it actually doubles as a fingerprint scanner. Setting up a thump or fingerprint with this Asus Tablet is a very snappy process, and results of unlocking the device with your fingerprint compared to iPhone 7s, we found the 3S 10 to actually be quite comparable and just as fast. Asus Transformer 3 Pro is beautiful and feels premium in every way you look at it, in fact the gold color finishing makes it look a lot more expensive than what it is priced at. Measuring 8.35 mm in height and weighing a mere 790 grams, the transformer 3 pro is just heavier and thinner than the surface pro 4. Its metal kickstand is extremely solid and allows you to have a 170-degree viewing angle, while the transformer 3 pro gets most of its design cues from the surface 4. Asus has included better iOS such as full-sized HDMI port and turnable tree. Unlike Microsoft, Asus bundles the type cover keyboard with the device, which is actually a pretty sweet deal considering that you do need to pay additional for one. There is also a stylus that works just as well as the surface can. In terms of specs, the transformer 3 pro is no slouch on paper, this unit comes with a low voltage i7 6500 Dual-core processor, 16GB of DDR3 RAM, 512GB of PCI-E SSD, and a 12.6” Display with a WQHD plus resolution. Other hardware include an infrared camera for Windows hello – two front-facing speakers by Harman Kardon, a 13MP main and 2 MP front camera. The transformer 3 pro feels very similar to the surface pro 4.